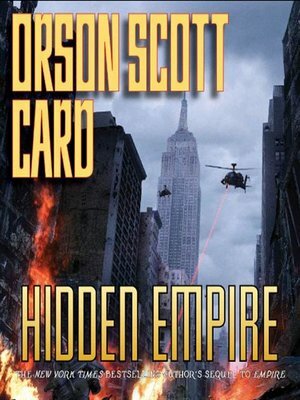 In this sequel to Card's bestselling novel Empire, Averell Torrent has become President of the United States, with enormous political and popular support and, if people only realized it, a tight grip on the reins of both political parties. He has launched America into a get-tough, this-world-is-our-empire foreign policy stance. But Captain Bartholomew Coleman, known as Cole to his friends and enemies alike, sees the danger Torrent poses to American democracy and the potential disasters involved in his foreign military adventures. Cole quickly runs afoul of Torrent; on the run, he and a few friends and allies seek proof of how Torrent orchestrated the political takeover that included assassinating a President and nearly starting a civil war.